Some logo and typographic foolishness. A ‘spin off’ idea from a ‘legit’ logo project called ‘Fifty Two Keys’. Where the obvious subject matter of piano keys etc seemed to be unavoidable. During the project, several other ‘fun’ ideas came about. Just a cute triple meaning of the letter ‘Y’ to form a ‘evening dressed gentlemen’ in the style of several piano keys. Blood spray to infer some ‘dastardly deads’. No surprises with the font used as well. Not my usual style of Helvetica for sure, but Helvetica Extra Compressed seemed to be a good fit. The tag-line uses the free League Gothic font. 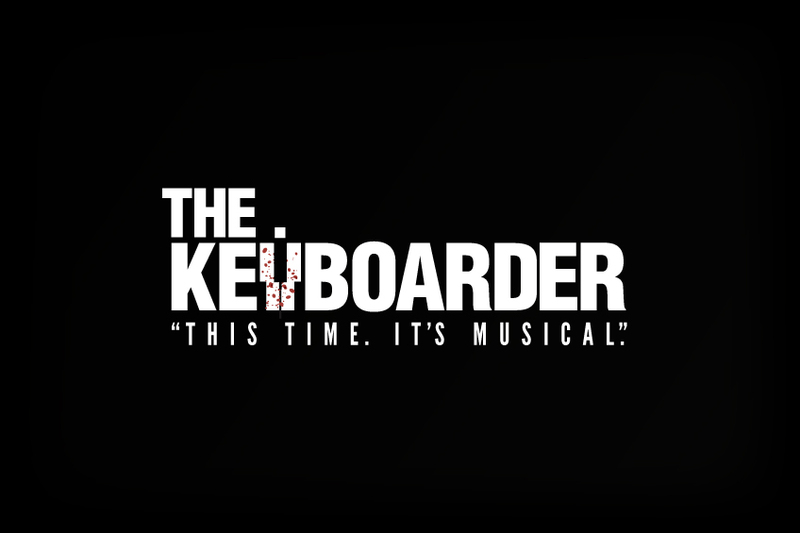 The Keyboarder. A musician for hire, who has a deadly secret.